So there might be a little threshold before you know how to consume your first Web Service, but I encourage any AX developer to set aside at least half an hour to just play with this. There are a lot of good content out there describing how to consume Web Services in AX 2012 (TechNet, White Paper, Mukesh Blog, Joris Blog) so instead of repeating all of those good reads, I wanted to equip you with a dummy service of your own. Then it will be easy to consume it and you will have complete control over both the service providing data and the code in AX consuming the data. First, let us create a new Project in Visual Studio. I'm want something easy and swift, so let's choose .Net 3.5 and ASP.Net Web Service Application. I'm naming the Project "PizzaSearchService" and this will automatically be part of the namespace for this application. The project loads and you will be presented with the code for "Service1". Now just copy the code underneath and paste it in. This is just a very simple service that takes a string as an input for a query for pizzas. It then returns a list of two pizzas. I love pizza, so I just couldn't help myself. Now we need to build this and deploy it to Internet Information Server (IIS). Depending on your configuration of IIS you might need to prepare a site that runs on an Application Pool that uses .Net 2 instead of .Net 4. Let us quickly go through these steps. I am assuming you're not messing up the settings for some already existing Web Site. If that is the case, you might need to create a different Web Site where you can host this Web Service. Then click choose to select the correct Application Pool. By default IIS will have preconfigured some Applications Pools, and the one we want for now is the one named "Classic .Net AppPool", because it runs .Net 2, and our Web Service is of .Net 3.5 (built on .Net 2). Select "File System" as Publish method, and then choose a target Location. Select Local IIS and your Default Web Site. Now simply press Publish and your Service1.asmx and precompiled binaries will be copied to the location of your Web Site, normally under C:\inetpub\wwwroot\. You should be able to test the Web Service by opening a browser and navigating to it. Try loading http://localhost/service1.asmx and see what happens. Unless something went horribly wrong, you should see this page listing service entry points and some extra textual description. If you click the SearchService-link you will get a description of that service and since it takes a simple string you can invoke the service from here. We already know the service returns the same result each time, so just press invoke and watch it open the result. Select the Class Library as template. Give it a name like "DynamicsAXPizzaService". Now you are ready to consume it from within AX. You will have to restart the AX client, as already mentioned in the documentation. In order to get you started quickly, I wrote this main-method which you can just copy and paste to test if it works. What dll is being used when the X++ code is running client side? Tip: have a look at this path: "%localappdata%\Local\Microsoft\Dynamics AX\VSAssemblies\"
What dll is being used when the X++ code is running server side? Tip: find the location where your AOS Server files are installed and look for the VSAssemblies-folder under the bin-folder. What about when you activate hot-swapping of assemblies on the AOS? What happens if you deploy new versions of these dlls and you want the client or the AOS to load this new version? Either restart the client or restart the AOS, depending on what dll you want reloaded. What if you plan to have the dll run only server side and never client side, but you need intellisense while developing the X++ code? Finally, I wanted to show you a neat little tool by JetBrains named dotPeek. If you take any of the dlls you just created and drop them into this tool, you can explore the content and even browse the code. I have used this tool in many different scenarios to peek inside managed assemblies. If you have any concerns or you bump into any issues while trying to follow the steps in this article, please leave a comment underneath. I had a need for hiding some data in the database and I came across this example of encryption and decryption using standard .Net libraries. This is sort of security by obscurity, because any seasoned developer with adequate access can break it, but it is better than nothing if you don't want to store some strings in clear text in the database. Since X++ in theory should be able to do almost anything you can do in .Net, I wanted to give it a go. I had to change some stuff and make some shortcuts, but it worked. It is rough and I will be change things to improve usability, error handling and performance, and of course programmer documentation. At its current state it is a nice example for this "short" blog post. I start with this little base class which holds two methods, encrypt and decrypt, both taking a string and returning a string. I haven't so far thought of limiting the length of the string. I leave that open for now. Now there are other ways to encrypt and decrypt in AX, so take my post as just another example. EDIT: I've been asked if there are any special considerations for where to run this code in regards to client- or server tier. I just assumed this would be best deployed for server side execution, and I explicitly marked the classes for "server" in the AOT. I imagine this could be deployed for client side execution if it was built as a managed assembly (dll) and deployed client side. With Dynamics AX 2012 you get this library of tools for all sorts of management tasks, like maintaining your models and modelstores, deploy SSRS reports or Enterprise Portal components and a lot of other cool stuff. While some may argue using command line tools is a set-back compared to rich UI tools, there is a vast number of DevOps (or OpsDev, if you prefer) who without a doubt find this to be a critical component for any major software solution. Before AX2012, I had just briefly tampered with PowerShell, but now I can't do my job (efficiently) without it. PowerShell is awesome! This blog post is about the importance of the build version of AXUtilLib.dll. When you're running the Dynamics AX Management Shell PowerShell Window, you will by default launch it with whatever build version is installed, normally under C:\Program Files\Microsoft Dynamics AX\60\ManagementUtilities. Here is a couple of things you might struggle with. The RTM version will assume your application modelstore is located in the same database as your business data. This is expected behavior in RTM as the business data and the application data resided in the same database. R2 version will obviously assume the application modelstore is located in a separate database using the "_model" suffix. The model file is from a newer version of Microsoft Dynamics AX (version ) and cannot be installed. Say you have upgraded to the latest update of Management Utilities but have an AOS running a previous build and you need to use Management Utilities to import a model. Luckily, when installing the AOS, the installer drops a copy of the AxUtilLib.dll in the AOS bin-folder, and this copy will always (*knock-knock*) be of the same version of that AOS-service. All you need to do is to make sure your command line session uses this version and not the default one. If your only concern is to install a model, then all you need is AxUtilLib.dll, AxUtil.exe (for Command Line Window) and AxUtilLib.PowerShell.dll (for PowerShell commands). For your own convenience, copy the files to a different path, say C:\AxUtilLib\6.2.1000.1437\. For a Windows Command line session, simply open MS-DOS Prompt (with Administrator rights, I might add), navigate to the folder and run the necessary commands. For a PowerShell session, you will have to import the assemblies necessary. Since this example is only about operations against models, we only need a limited set of assemblies. There is a nice list of commands and assemblies in this nice post by Martin Dráb. I remember the very first time I saw the reference to a "Baseline database" in AX2012. It wasn't perfectly clear what the purpose of this database was. I remember thinking it might be some kind of Foundation database or perhaps even the database holding the application code. However, the database was optional, so evidently it had to be something else. Eventually I learned the purpose of the baseline. It was simply the replacement of "old". If you're not sure what "old" is, it is just that folder holding the previous version of the application layer files in pre-AX2012 installations. This special folder makes it possible for developers to compare elements not only against other application layers, but also a previous version of the same application layer. 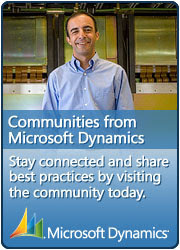 This can be very helpful when upgrading Dynamics AX from a previous version. If you don't have a Baseline database, you can easily create it from scratch. It is just a database having the necessary database objects to hold a modelstore. If you have a Baseline database all you need to do is to make sure your Server Configuration points the Baseline Database option to the correct database. After the AOS is restarted, it will include elements in this database when you do an element compare. So how would you fill this Baseline with the application layers? Well, you can install AXModels to a Baseline database, but you will probably want to copy the entire modelstore instead. AX2012 R2 has the neat setup where the ModelStore is in a separate database making copying to "old" easy with regular SQL Server Backup and Restore. If you are using AX2012 RTM or you prefer to use AXUtil or PowerShell, you can export the modelstore from your AX2012 Modelstore database and then import it using the same tools to the Baseline database. If your Server Configuration is set to a Baseline database, you will obviously have to shut down the AOS the minute you plan to apply the modelstore to the Baseline database.